With 17 historic buildings set in 75 acres of beautiful countryside, the Museum of East Anglian Life is the largest independent museum in Suffolk. The museum is an educational charity supporting the community. We care for over 40,000 objects – once the everyday items of East Anglian life. Our collection has a particular focus on the production of food and social history relating to it, reflective of the region’s strong agricultural character. We aim to enrich people’s lives, encouraging enjoyment, learning and participation through our public programme, training and volunteering schemes. We hold events throughout the year, family activities during the holidays, a programme for schools and community-focused initiatives. We are a space for people to be active, learn new things, look at the world differently, make friends and give something back. If you would like to know more about the museum, or about getting involved with the work we do, then visit our website, www.eastanglianlife.org.uk. There's one thing that makes more of a difference to our organisation than anything else: our people. Their enthusiasm and dedication is key to the Museum's success. Every employee, trainee and volunteer is a valued member of the team, with a clear role to play in delivering an excellent visitor experience. We are always looking for good people and welcome applications from all sections of the community in which we work. We look for commitment, enthusiasm, professionalism and a real willingness to work as part of a wider team. But we know that you are looking for something too - the opportunity to maximise your strengths and achieve your full potential. We are fully committed to the personal development of all our people – staff, volunteers and trainees alike. Looking for something to do in your spare time? Want to get some experience of working in a museum? Interested in history? Want to meet new friends? Like the outdoors? Try volunteering at the Museum! We have over 100 active volunteers and are always on the look-out for passionate and loyal people to join us. Work in a public facing role that help us engage our visitors, e.g. as a ‘meeter and greeter’ in our exhibition rooms. Work on our collection and buildings, for example as a collections researcher or helping us to document our collection. Demonstrate traditional skills and crafts or take part in historic re-enactments. 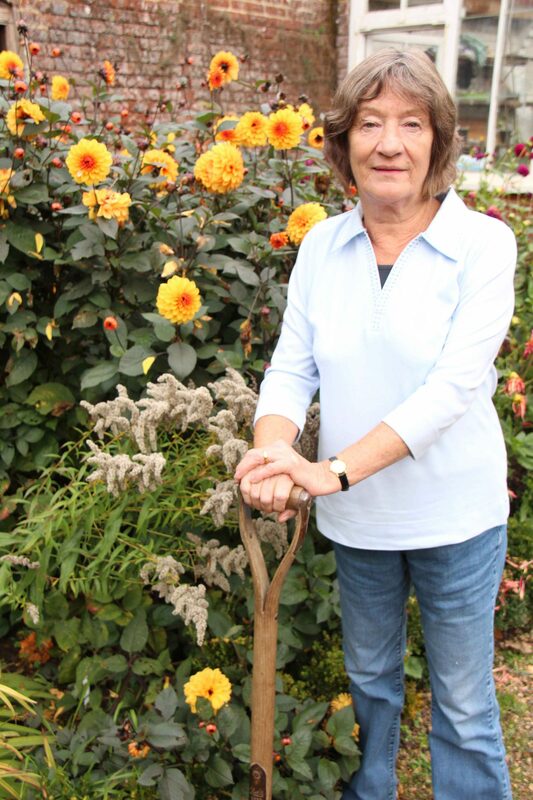 Help us to maintain our 75 acre estate, environment and beautiful gardens. Work with our learning team to engage, excite and inspire our young visitors. Volunteering can provide many benefits and rewards, such as the opportunity to gain valuable hands-on experience and skills through a variety of museum roles and improve your CV, meeting people and making new friends as well as learning about history or heritage skills and crafts. For more details on how to become a volunteer and what it entails please contact Jo Rooks via volunteering@eastanglianlife.org.uk or telephone 01449 618227. Looking for something different to do this February half-term? Why not join in with the Museum of East Anglian Life’s Volunteer Week!